After making the investment to include a safe place for your kids to play in the backyard, it’s important to make the additional investment of cleaning and maintaining the equipment. 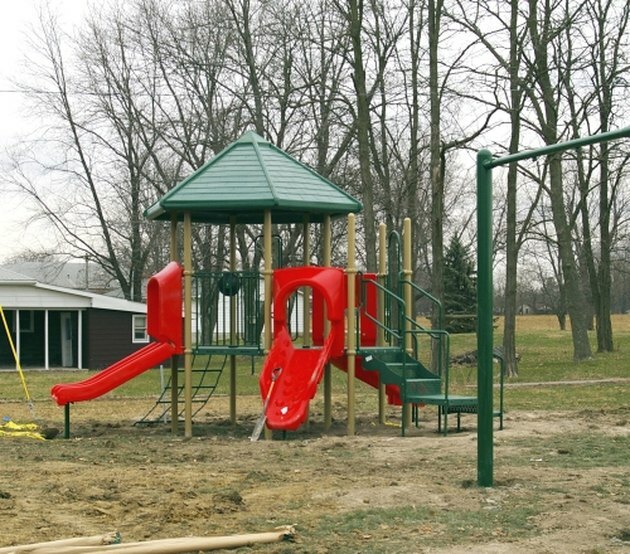 An annual inspection and a couple of hours of time are about all it takes to keep your playground equipment in tip-top shape. Doing so will ensure that it is around for years to come. Sand any rough or splintered spots on the wooden structure with sandpaper. Wipe dust with a damp cloth and then allow it to dry. Treat a wooden play set using a high-grade wood sealant. Remember, treat wooden playground equipment just as you would a fence or deck. Properly cleaning a wood structure removes dirt, mold and mildew which can accumulate on the set. Consult a playground or deck cleaning specialist if you are uncertain of the type of wood the structure is made from. Each type of wood—redwood, pressure treated—requires a specific type of treatment. Prime and paint metal sets when they are assembled. Sand off rust spots with sandpapers and touch up the areas with paint once a year to maintain the set. Remove dirt and grime which easily builds up on plastic parts by using supplies you very likely already have on hand. 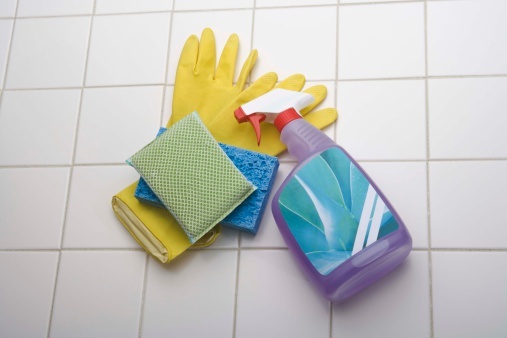 Attach a bottle of glass cleaner to a water hose to clean plastic surfaces. Use a pressure washer as an alternative to a water hose. Be sure to use a lighter tip to clean a plastic play set to avoid damaging the finish. Check for and tighten loose bolts as you’re sanding and retouching. 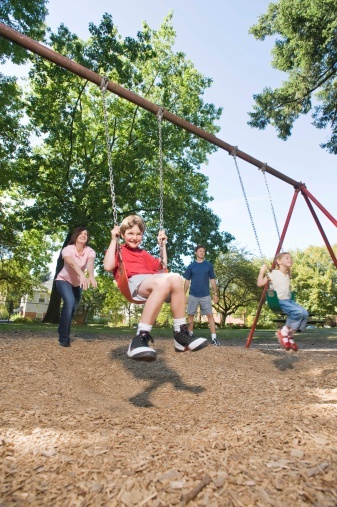 The American Academy of Pediatrics recommends checking the play area for sharp objects, poisonous plants and tripping hazards. (A rule of thumb regarding poisonous plants is that if it is deer-resistant, it is normally safe to plant around children. Always check with a local nursery first.) Replace mulch or sand or which ever material is being used as a playground surface.